Daredevil #5 - $3.99 - Mark Waid and Chris Samnee utterly deliver month in and month out on this title, making it the most consistent book Marvel has quality-wise. This month, we find out what actually happened to Foggy Nelson. American Vampire: Second Cycle #4 - $2.99 - Skinner and Pearl are basically fighting the Devil. We have no idea how the series will be able to escalate beyond this point, but watching Rafael Albuquerque pull off some of the finest art in comics is well worth it. Original Sin #5.1 - Thor and Loki: The Tenth Realm - $3.99 - For the record, we are not big fans of Thor: God of Thunder and Loki: Agent of Asgard going on hiatus for this tie-in. On the other hand, we're hoping Jason Aaron and Al Ewing's combined talents will make for an awesome super-book. The Tenth Realm concept has promise. 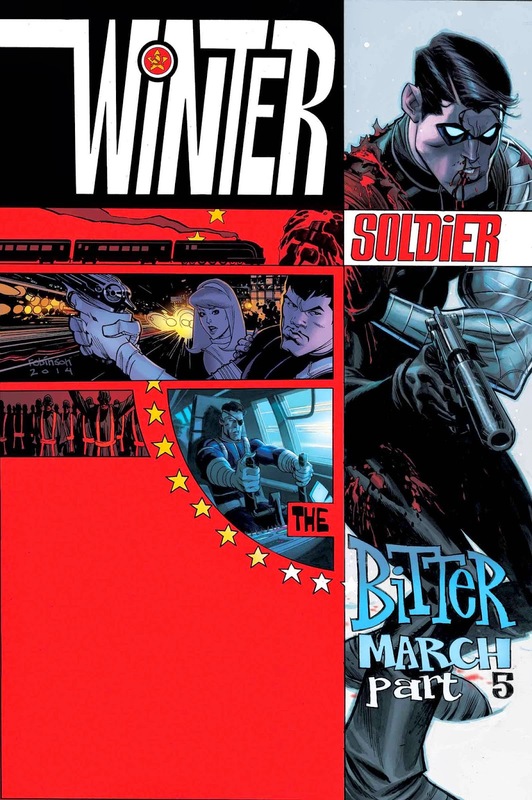 Winter Soldier: The Bitter March #5 - $3.99 - The concluding issue of what has been the most fun and stylish mini-series of the season. Fun 60's spy action, phenomenal Roland Boschi art and Andrew Robinson cover! This one can't be missed. 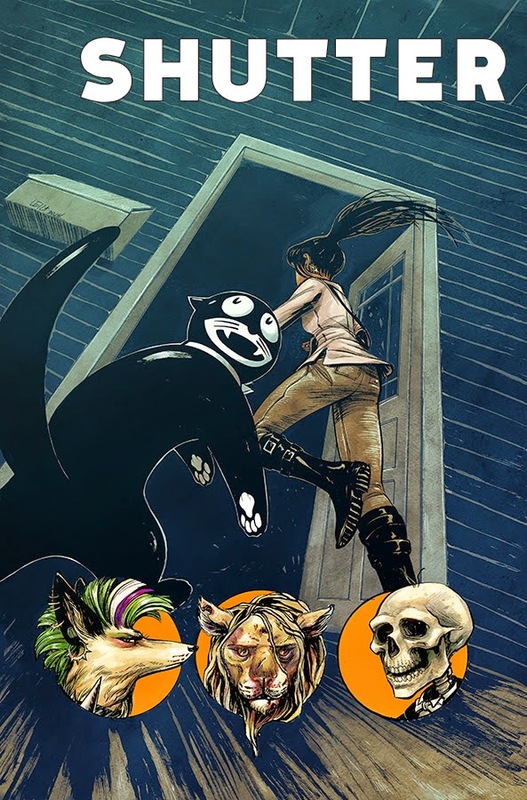 Shutter #4 - $3.50 - What other book this week has a skeleton butler, a talking cat clock, lion mercenaries, and mysterious evil siblings? The writing is fun, but Leila De Luca's art so far has been a tour de force of imagination. If you're looking for something a little (or a lot) different, look no further. Los Bros Hernandez's Love & Rockets is a historically important series and arguably the greatest indie comic of all time. It has inspired a number of today's biggest creators, including Matt Fraction, who cited it as "the series that changed his life" (paraphrasing). While the series proper was split between the Almodovarian magical realism of older brother Gilbert and the punk rock sci-fi of Jaime, it's the latter where we believe you get the better taste of just what Love & Rockets was aiming to achieve, even in its earliest days. The saga of Maggie and Hopey, two teenage punk rockers, the former of which is a "pro-solar mechanic", is a striking tale of friendship, Southern Cali Latin American culture, delinquency, professional wrestling, super-heroes, riot girl music, dinosaurs, drug addiction, and LGBTQ concerns. It's also helped by some of the most gorgeously constructed art the medium has ever seen, and that's without the benefit of color. The characters also age in real time, and the series has been running for 30 years. Imagine that! One look at this series and you'll immediately know the roots of where the current series of Hawkeye had its genesis, which in turn spawned an entire line of Marvel comics. 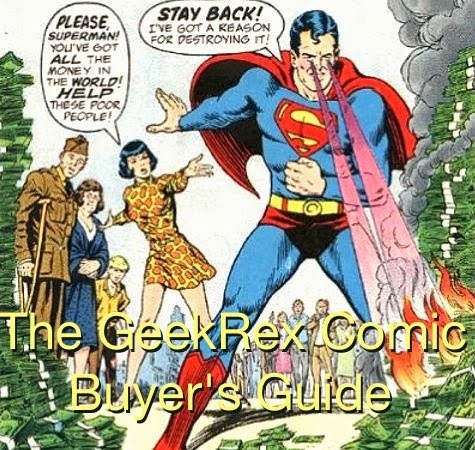 You should buy immediately, and you can do so here.